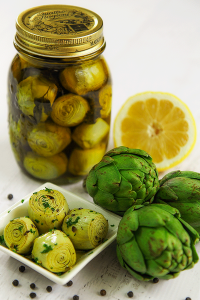 To prepare this recipe, choose small or medium artichokes. The leaves have to be very tender, so the best varieties are “Violetto” or “Baby”. Slice the bacon into stripes 1/2 inches thick. Peel and crush the garlic. Pour the bacon in a pan big enough to cook the artichokes. Place the pan over the heat and cook the bacon slowly. 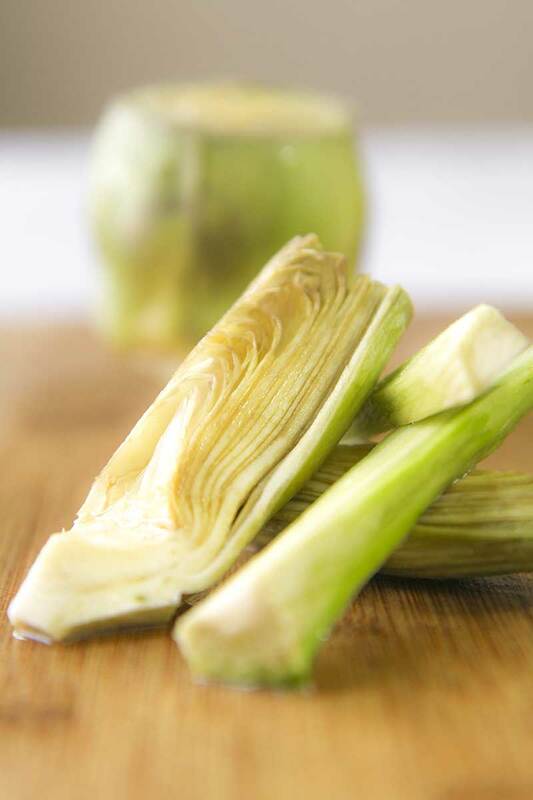 When the fat is partially melted, add the garlic and the celery seeds. Stir-fry the bacon until is golden but still “juicy”. 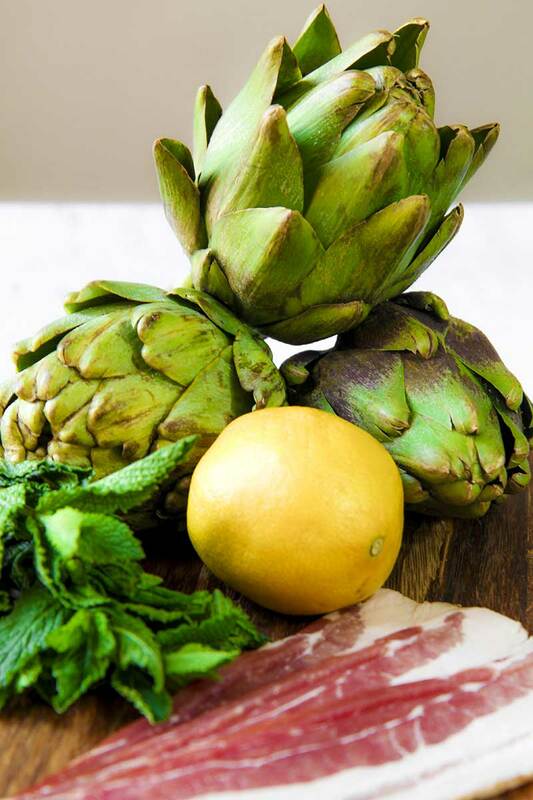 When the bacon is golden but not super crispy, pour the artichokes and 4 sliced mint leaves into the pan. Stir-fry the artichokes on high heat, until golden. Be careful to not burn the bacon! Finally, low the heat at medium/low temperature, add a cup of hot vegetable broth and cover with a lid. Cook 20 minute adding salt to taste halfway. When the vegetables are tender but not mushy, the recipe is ready! Mince 4 mint leaves, combine them with the sauteed artichokes and serve with a drizzle of olive oil and a dash of black pepper. Slice the bacon into stripes ½ inches thick. Peel and crush the garlic. 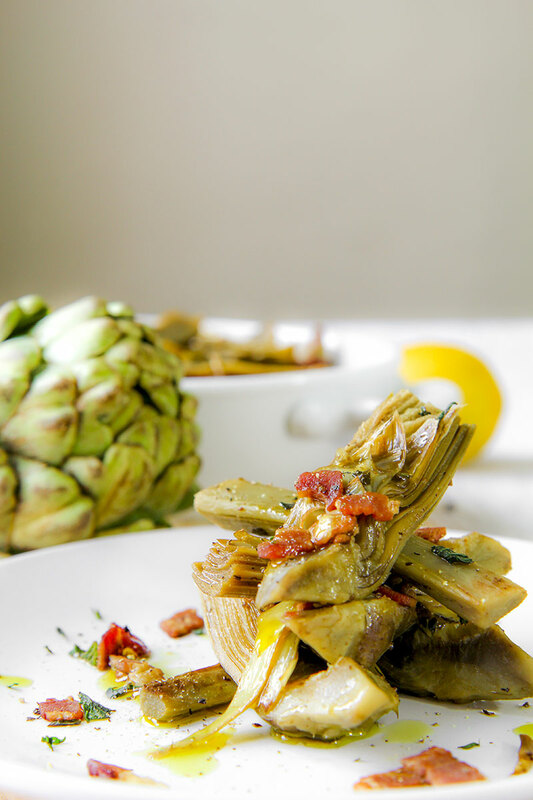 Pour the bacon in a pan big enough to cook the artichokes. Place the pan over the heat and cook the bacon slowly. When the fat is partially melted, add the garlic and the celery seeds. 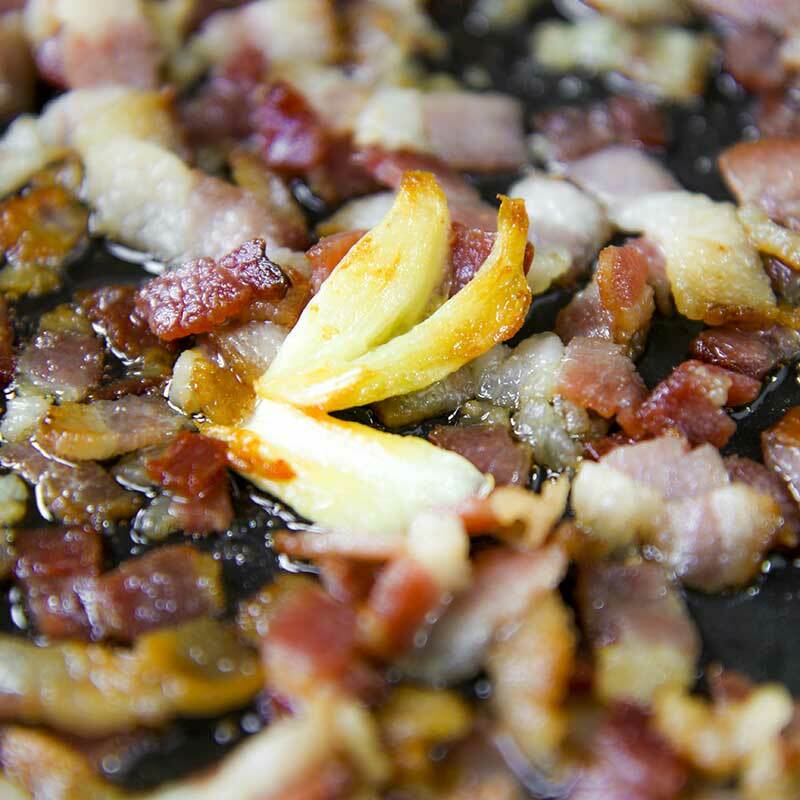 Stir-fry the bacon until is golden but still “juicy”.